What is Sophisticated Wolves? It's a mod that aims to improve wolves in the games through a series of gameplay tweaks, AI improvements, and added features. The focus is not to have overpowered items or crazy abilities, but rather balanced additions that make sense in the world of MC. Essentially, wolves should be able to better respond to your actions and take care of themselves, so you don't have to consider them a liability when mining, exploring or fighting. NightKosh has taken over updating the mod using Forge, check out his page for more! Requires ModLoader! NOTE: If playing on 1.6.2 it is recommended that you install this Modloader patch by acomputerdog or use Forge Modloader. 2. Name this folder something like "1.6.2 Mods" or "1.6.2 Wolves"
This mod modifies the EntityWolf, RenderWolf and EntityAISit files, and uses item IDs 1558-1559. Installing them together may cause bugs or crashes, do so at your own risk. 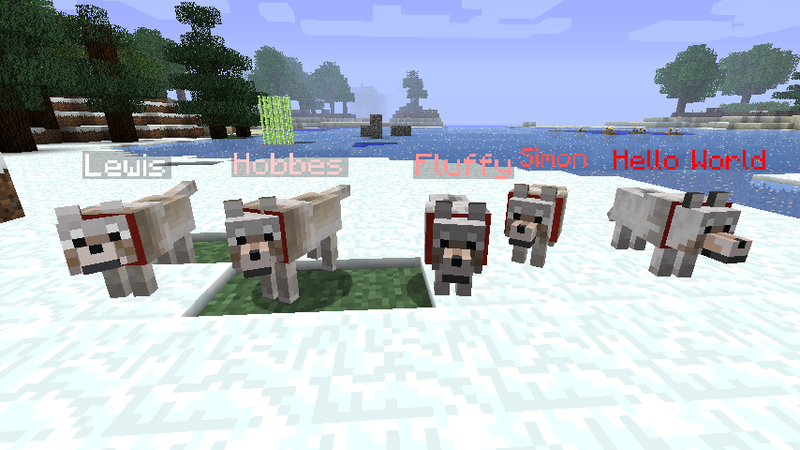 One of the most oft-requested features, names to differentiate between your pets. Craft a leather Dog Tag and you'll be able to give your pet a proper title (12 chars max). They behave like normal player nametags when standing but are not visible through walls when sitting. 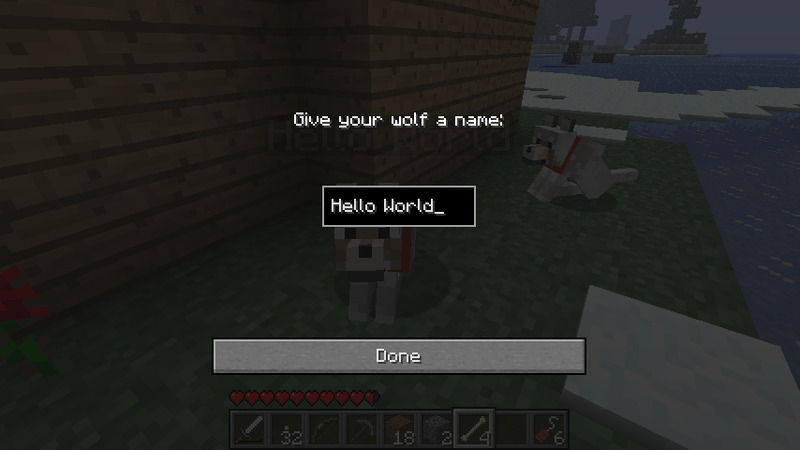 Nameplates will also change color according to the health of your wolf. White = full health, and it gets progressively more red as a wolf's health goes down. 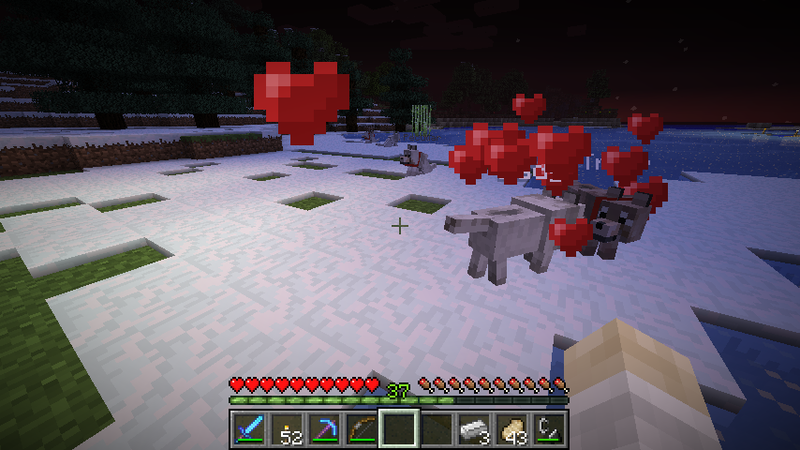 No more accidental breeding, wolves now have a new item to get them in the mood. 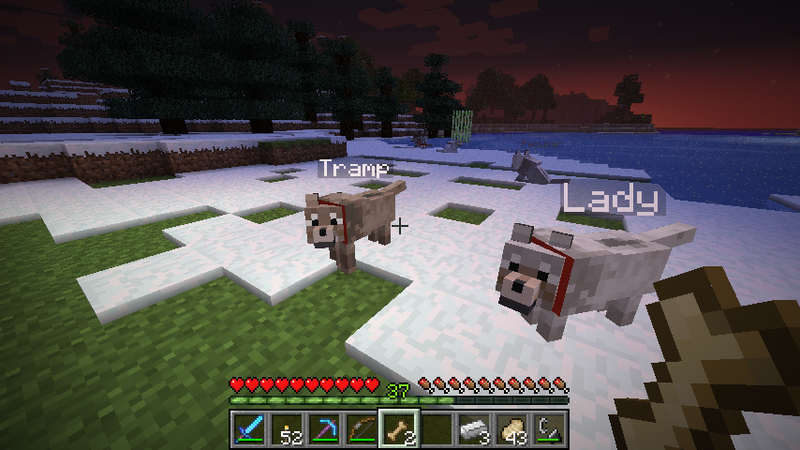 Feed two tamed wolves a Dog Treat made out of two wheat and a porkchop (raw or cooked) and they'll produce a puppy. Puppies are automatically tamed and will inherit a parent's breed. 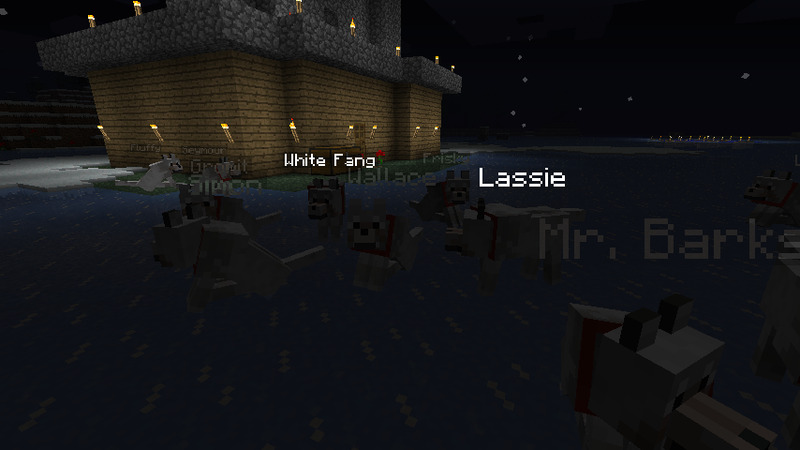 Wolves' appearance will vary depending on the biome they spawn in. Taiga wolves are the classic gray, while forest wolves are light brown. You can also find black and dark brown wolves, but these colors are harder to find than their lighter counterparts. Tired of your wolves burning to death? So are they. If they happen to catch on fire, they'll stop and shake to put themselves out. Wolves are loyal, not stupid. If they see a Creeper about to explode they'll scatter regardless of what you're doing. 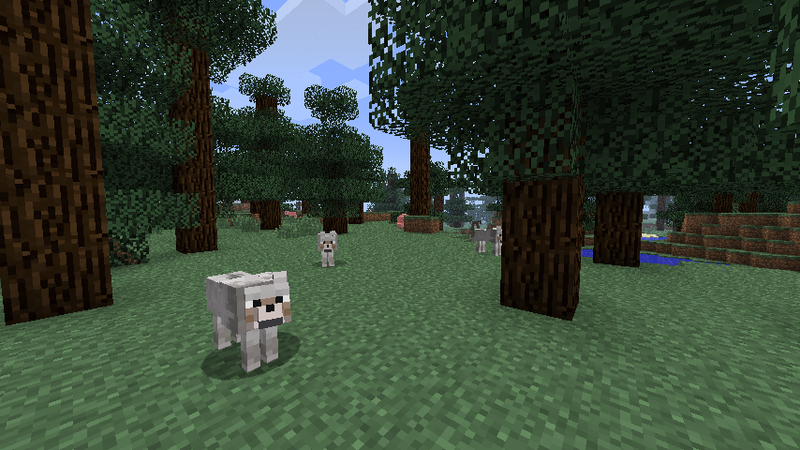 Like ocelots, wolves will spawn sporadically in Taiga and Forest biomes and only become persistent when tamed. This also means they won't stick around if you wander off so be sure to bring bones with you if you're looking for wolves! 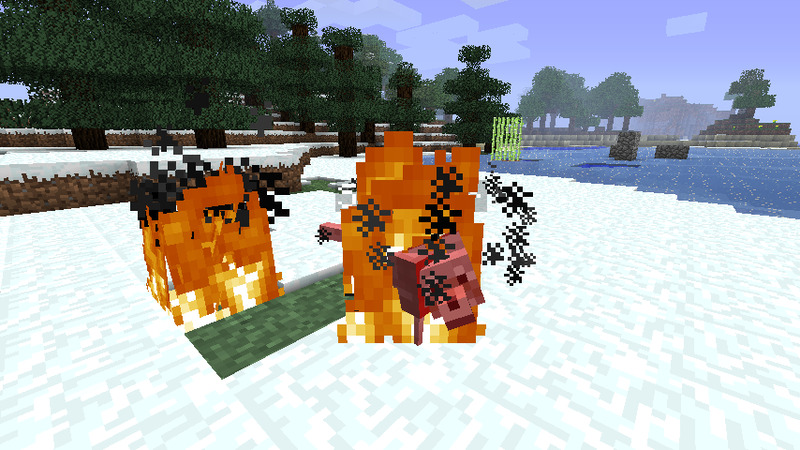 Wolves will now also gobble down fish and gain the max amount of health whether their meat is cooked or raw. 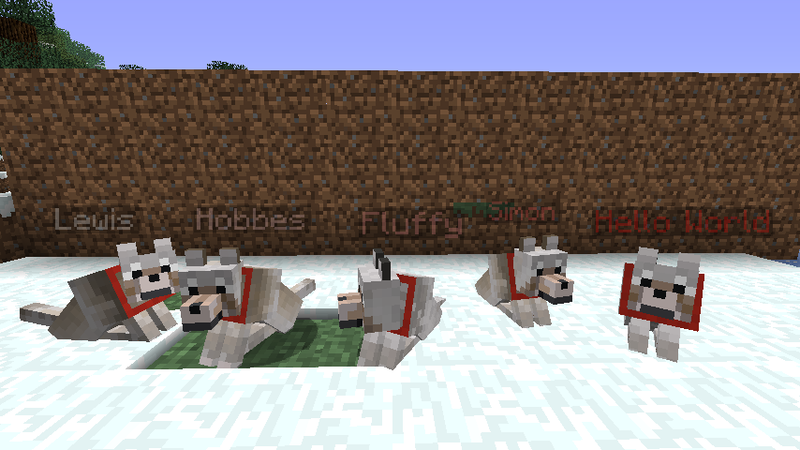 In addition, they will no longer wander around while begging, so you don't have to chase them down trying to feed them. Crouching with Shift will make any wolves currently attacking a creature stand still and stop attacking. Holding down Shift for around 5 seconds will cancel their attack entirely, so they don't slaughter your flock of sheep because you accidentally punched them. Wolves will also lose interest in a target if you're far enough away from it when they teleport to you. Wolves will no longer wander around and bump into you when you're mining or on a ladder, instead they'll wait patiently for you to finish (unless you're being attacked by monsters of course). 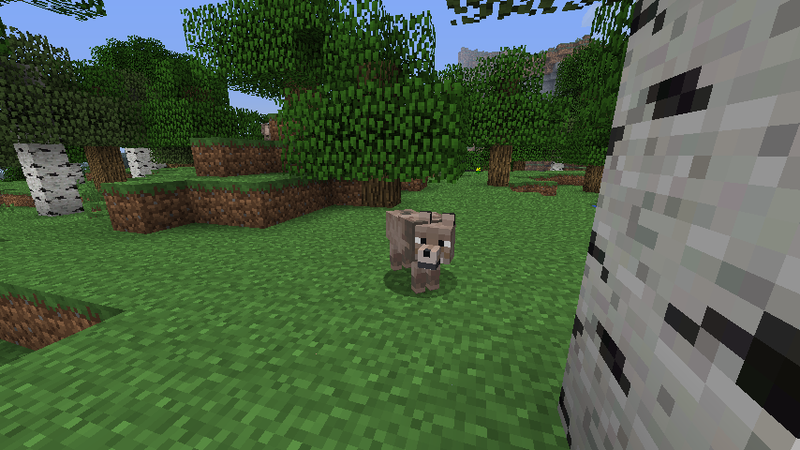 Though they won't attack Creepers, wolves will growl to alert you if one is nearby. Want to use a texture pack instead of biome-specific wolves? Don't like wild wolves despawning? Want to set breeding back to default? Change it in the config file, located in your .minecraft/config folder. You can also change the ID numbers of the items if you run into a conflict with other mods. 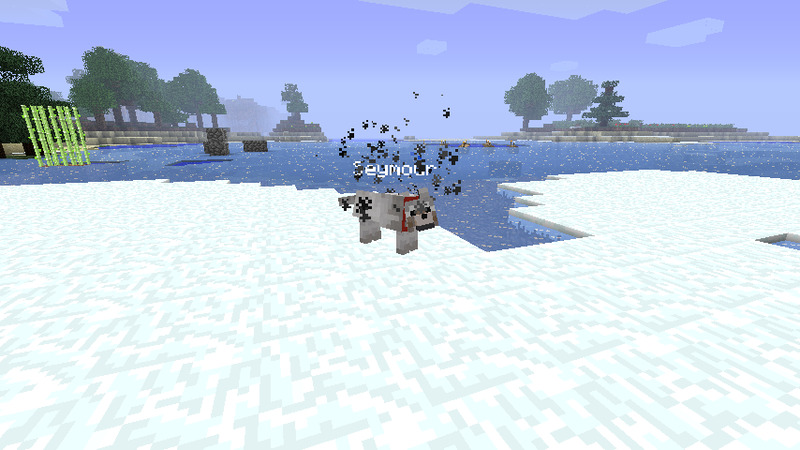 Smarter teleportation, fire avoidance, more responsive interactions, and many other various bug fixes and tweaks have been made to improve your experience with wolves. Check out the changelog for more detailed notes. RickyTheHedgehog made this great 32x resolution Dogtag sprite for those who use a 32x texture pack. To install, open the minecraft.jar and replace the dogtag.png in the sophwolves/items folder with the one from the link below. 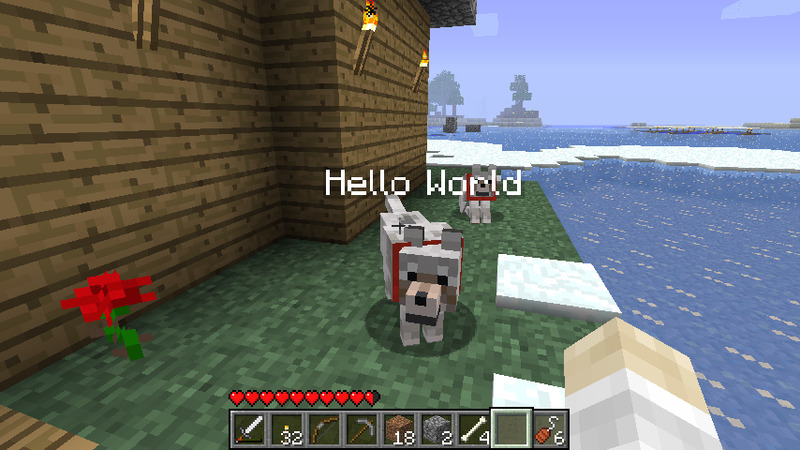 +added config file, you can now change item ids, toggle wolf respawning/despawning and custom wolf textures. Feel free to leave a comment below. I'm continually updating this mod (more improvements to come) so I appreciate the feedback! The laws of physics are optional. The laws of magic are absolute. This is AWESOME. +1 rep for you. Studies have shown that 843,902,635 people are too lazy to read this number. 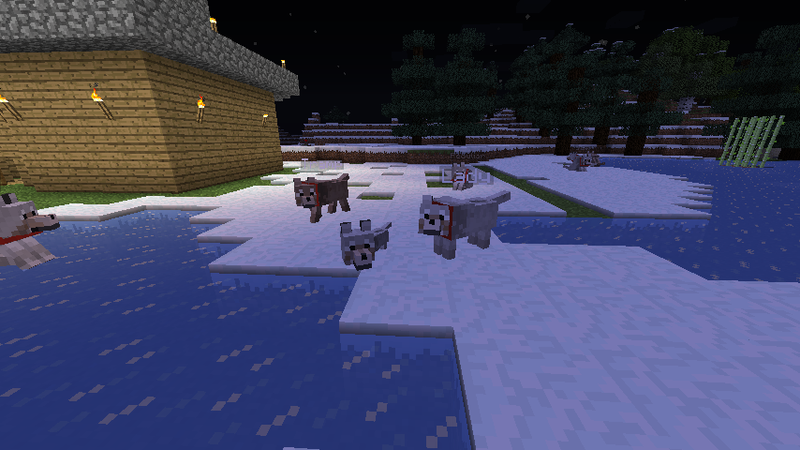 cool mod can you make (if its not too hard) wolf health bars so its easier to see there health. if you could do this i would appreciate it thanks! Philosophy 101: If a man speaks in the woods, and a woman is not there to hear him, is he still wrong? Hey, could you make a configurable health meter? Dogs' tails aren't all that reliable when it comes to determining their current health. 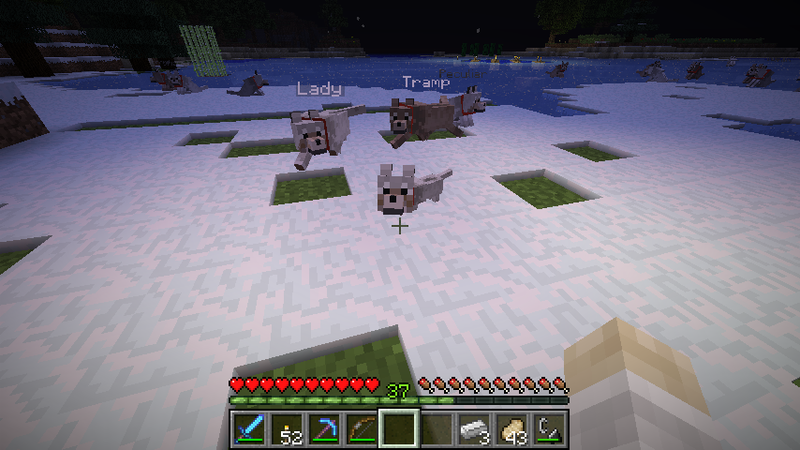 The number one thing I've wanted to be added to the wolves in minecraft since they came out. Better pathfinding and wolves not wandering while you're mining is one of the things I have planned, I just need to look at their AI more to figure out how it works. I'm trying not to add too many GUI elements, but I'm looking into some other things to make it easier to tell how healthy they are. Ive been waiting for something like this fro ages! Thankyou! 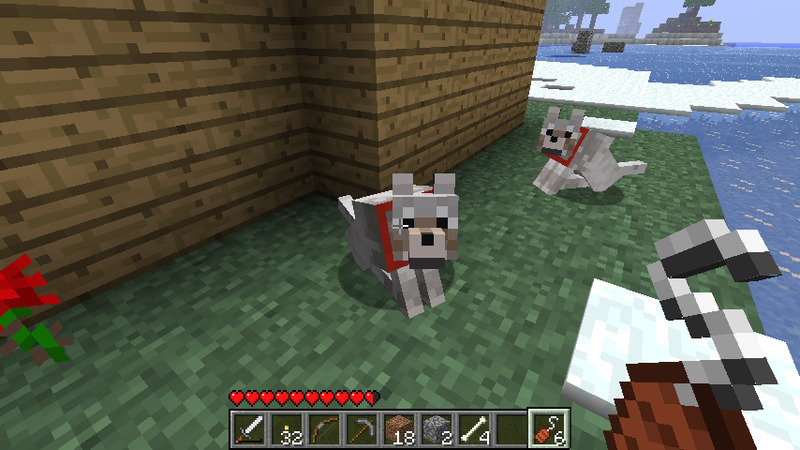 Awesome mod man, I've taken to keeping dogs and imagining they are standing guard outside. It'd be great if they growl even if sitting down. I like the less barking noises, but an eventual whimper would be a good addition. But would I would like to see most, is if you can make them pay attention to height like mobs do. Where as they won't just jump around and fall off ledges when your going up and down hills and through tunnels. Probably more advanced but I'd love to see it happen. ok cool i cant wait to see what you come up with! Awesome! This looks like an extremely useful mod. I was thinking, it would be wonderful if you could get your wolves to come to the Nether with you. Maybe when given a certain item (Netherhound Pendant?) they would automatically teleport to the Nether, and if given another certain item (Earthly Amulet?) they would teleport to the overworld. Another cool thing would be tracking. It wouldn't exactly make them easier to take care of, but it makes sense. You could sacrifice an item to them and they would find the mob that drops that specific item. E.g., give them a unit of Gunpowder and they would find a Creeper/Ghast. I have installed the mod correctly, (i've installed mods before) but the dog tag doesn't show up on Too Many Items or the recipe book mod. im certain its not a clash against another mod because the only other mod i've installed is the Elemental Creepers mod. Woops, that's not supposed to happen. I'll see if I can fix that. So I checked with TMI and RecipeBook and it seems to show up fine for me, you might need to double check your installation. I like it, it could be "better than better than wolves"
no name tags. wolves don't extinguish themselves and they don't eat fish. and no... i cant possibly go wrong with the installation. perhaps not BTW compatible?? i guess that edits wolves too.